For some time now I’ve been working on something else, and I’ve mentioned it a few times. I do have some things I need to finish here, and I’m still going to run this blog for a bit longer once I make my jump. How long I’m not exactly sure, but I may make it to my third anniversary next April. Not entirely sure of that, but it’s possible. Frankly, every time I’ve tried to quit this thing, something happens to keep me from it. That’s not a complaint. It’s always something good that occurs. Why that keeps happening I don’t know. I don’t post every day. I’ve inhibited the Google bot. 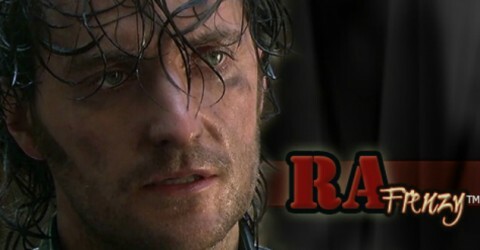 I don’t have RA’s name in my blog name and have seldom put it in a title until recently. I have had significant help from some of the RA fan sites and from my fellow bloggers. I appreciate them all very much! I am also on Twitter although statistically a small number of those who surf the Net are on Twitter. So to all of you who find this place and continue to read it, thank you for that and for continually drawing me back into this marvelous ride. And thank you to Richard Armitage for just being Richard Armitage. LOL! If someone had told me when I started this lark that so much would happen and so easily, I would have scoffed. Not to say that this isn’t work. It is. But contrary to what some may think, I’ve asked for very little from others in the last two and a half years. Thanks to those of you who answered when I made a request, and to those of you who took it upon yourselves to give me something unasked. Your participation is the icing on this cake, and cake it is because it’s helped evoke and sustain an aspect of me I hope will create something fine with my next project. Until then, SO continues to smile and quirk his eyebrow at me. It’s the whimsical way he’s always had that makes me want to get in his head, and when I finally do get in his head, it’s one of the most pleasurable things imaginable. This morning is our anniversary, and I can say with conviction that I’ve never been bored. Not once. Irritated or disappointed at times but never bored. And I have it on good authority he’s never been bored with me. I’m very thankful for what’s occurred between us, and after all these years together, it refreshes me to say that this morning. Congratulations to SO and you on your anniversary! The celebrations you find in surprise can be the best ones. This might indeed be a good year to celebrate. Tell him I said to supersize your fries at Mickey D’s in honor of the day! ;) Congrads!! Congratulations. Dh and I tend to forget our anniversary, too, but as the numbers get bigger, the urge to make it “an event” increases. Congrats Frenz. My OH and I are at the 37th mark and it’s been kindred spirits all the way, as I suspect it is with you and yours. On the other point, I suspect you are ready for the move to a new project. Your skills and abilities have developed significantly as I have watched you blog. Can’t WAIT to see what the new project is. Wishing you both a very happy Anniversary! May the years to come be even better than you could imagine! Happy Anniversary! I hope you had a great one , and many more! Congratulations! Many more happy times for you both. Happy anniversary! Here’s to many many more! Wishing you both a Happy Anniversary! You sound like as for sure there are more exciting things to come…. And I’m having a blast. Happy Anniversary!! May you both have many more . I had almost 44 years with my own dear OH before he passed away. So treasure and savour each and every day you have together. Blessings.